The First Battle of Rappahannock Station, also known as Waterloo Bridge, White Sulphur Springs, Lee Springs, or Freeman's Ford, took place from August 22 to August 25, 1862, in Culpeper County and Fauquier County, Virginia, as part of the Northern Virginia Campaign of the American Civil War. In early August, Confederate Gen. Robert E. Lee determined that Maj. Gen. George B. McClellan's army was being withdrawn from the Virginia Peninsula to reinforce Maj. Gen. John Pope. He sent Maj. Gen. James Longstreet from Richmond to join Thomas J. 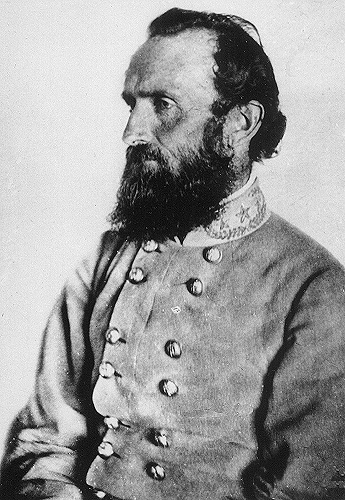 "Stonewall" Jackson's wing of the army near Gordonsville and arrived to take command himself on August 15. On August 20 and August 21, Pope withdrew to the line of the Rappahannock River. On August 23, Maj. Gen. J.E.B. Stuart's cavalry made a daring raid on Pope's headquarters at Catlett Station, showing that the Union right flank was vulnerable to a turning movement. Over the next several days, August 22 to August 25, the two armies fought a series of minor actions along the Rappahannock River, including Waterloo Bridge, Lee Springs, Freeman's Ford, and Sulphur Springs, resulting in a few hundred casualties. Together, these skirmishes primed Pope's army along the river, while Jackson's wing marched via Thoroughfare Gap to capture Bristoe Station and destroy Federal supplies at Manassas Junction, far in the rear of Pope's army. After the Battle of Gettysburg in July 1863, the Union and Confederate armies drifted south and for three months sparred with one another on the rolling plains of northern Virginia. Little was accomplished, however, and in late October General Robert E. Lee withdrew his Confederate army behind the Rappahannock River, a line he hoped to maintain throughout the winter. A single pontoon brigade at the town of Rappahannock Station was the only connection Lee retained with the northern bank of the river. The bridge was protected by a bridgehead on the north bank consisting on two redoubts and connecting trenches. Confederate batteries posted on hills south of the river gave additional strength to the position. The bridgehead was an integral part of Lee's strategy to defend the Rappahannock River line. As he later explained, by holding the bridgehead he could "threaten any flank movement the enemy might make above or below, and thus compel him to divide his forces, when it was hoped that an opportunity would be presented to concentrate on one or the other part." The Union Army of the Potomac's commander, Major General George G. Meade, divided his forces just as lee expected. 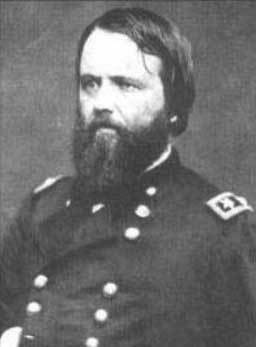 He ordered Major General John Sedgwick to attack the Confederate position at Rappahannock Station while Major General William French forced a crossing five miles downstream at Kelly's Ford. Once both Sedgwick and French were safely across the river, the reunited army would proceed to Brandy Station.